The RZ3016 raises the bar on compact size, without compromising performance. From the rugged steel tube frame, maintenance free drive system and high performance cutting deck, to the simplified controls and smooth operation, this unit offers outstanding value to the RZ family. Briggs & Stratton Engine- Briggs & Stratton engines offer durability, dependable starting and the power you need to get the job done. 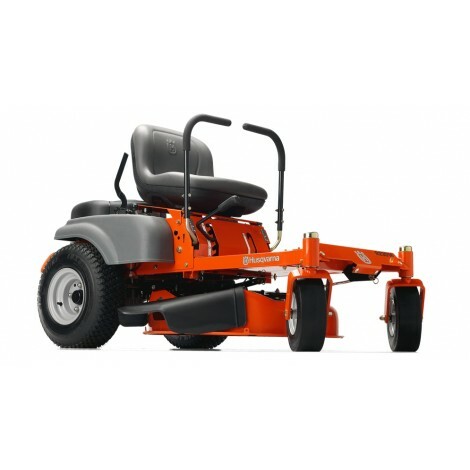 Air Induction Mowing Technology- Air is drawn from the top and bottom of the deck, improving grass lift and delivering a superior cut. Maintenance-Free Transmission- Worry free performance with maintenance free, integrated zero-turn transmissions. Rugged frame and casters- The robust frame and casters ensure durability and reduced chassis flex. Removable foot pan- Removable dimpled-steel foot pan for easy access to deck belt pulleys, spindles and clean-up. Comfortable operation- Ergonomic driver’s position with excellent overview of working area. All controls within easy access of operator. Rear bumper- Reduces the risk of engine damage due to impacts. Fuel tank volume (with reserve)- 3 gal.